Investigations in New Jersey, have proved that Rabbi Levy-Izhak (Isaac Rosenbaum) from Brooklyn and other rabbis have run for years networks to sell the kidneys of Palestinian martyrs in the US black market. Patients in the United States paid up to US$ 160,000 per kidney. In 2003, a medical conference showed that Israel is the only country in the world in which the medical profession does not condemn stealing human organs and does not act against those involved in such a crime. On the contrary, and as was revealed by a Dagens Nyheter report on December 5, 2003 and the Aftonbladet report of August 17, 2009, prominent doctors in major Israeli hospitals steal and transplant organs routinely. When asked about the number of bodies sold by rabbi Rosenbaum, he answers proudly, “we are talking about a very large number,” and that his company has worked in this field “for a long period of time”. Francis Delmonici, professor of transplant surgery at Harvard University confirms that organ trafficking is widespread in Israel and believes that there is sufficient evidence to ask the International Criminal Court to investigate Israeli crimes. Israeli media have turned the results shown by Aftonbladet’s investigative report into a diplomatic crisis between Sweden and Israel instead of demanding an end to this atrocious crime and bringing those corrupt criminals to justice. The Jerusalem Post published an article against me on August 17, 2009 which is full of incitement and accusations which aim at creating negative preconceived ideas about the author. The question here is why the Jerusalem Post article ignored mentioning the Swedish foreign minister Anna Maria Lindh who I mentioned along with Mary Robinson in my article, and who also took honourable stances in support of justice in Palestine, was arrested several times by Israeli occupation forces in the West Bank and was then assassinated in ambiguous circumstances. Israeli newspapers this summer are filled with angry articles about the push for an international boycott of Israel. Films have been withdrawn from Israeli film festivals, Leonard Cohen is under fire around the world for his decision to perform in Tel Aviv, and Oxfam has severed ties with a celebrity spokesperson, a British actress who also endorses cosmetics produced in the occupied territories. Clearly, the campaign to use the kind of tactics that helped put an end to the practice of apartheid in South Africa is gaining many followers around the world. Not surprisingly, many Israelis — even peaceniks — aren’t signing on. 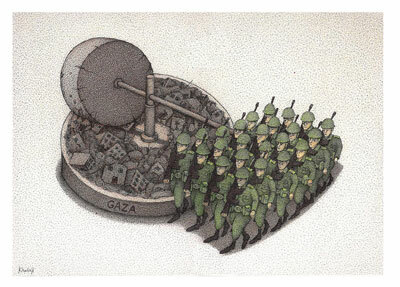 A global boycott inevitably elicits charges – however specious – of anti-Semitism. It also brings up questions of a double standard (why not boycott China for its egregious violations of human rights?) and the seemingly contradictory position of approving a boycott of one’s own nation. Geographically, the one-state solution appears much more feasible because Jews and Palestinians are already totally enmeshed; indeed, “on the ground,” the one-state solution (in an apartheid manifestation) is a reality. Ideologically, the two-state solution is more realistic because fewer than 1 per cent of Jews and only a minority of Palestinians support binationalism. In Bilbao, Spain, in 2008, a coalition of organizations from all over the world formulated the 10-point Boycott, Divestment and Sanctions campaign meant to pressure Israel in a “gradual, sustainable manner that is sensitive to context and capacity.” For example, the effort begins with sanctions on and divestment from Israeli firms operating in the occupied territories, followed by actions against those that help sustain and reinforce the occupation in a visible manner. Along similar lines, artists who come to Israel in order to draw attention to the occupation are welcome, while those who just want to perform are not. Nothing else has worked. 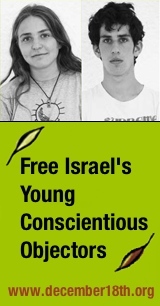 Putting massive international pressure on Israel is the only way to guarantee that the next generation of Israelis and Palestinians — my two boys included — does not grow up in an apartheid regime. Neve Gordon is chair of the department of politics and government at Ben-Gurion University of the Negev and author of Israel’s Occupation (University of California Press, 2008). He can be contacted through his website, http://www.israelsoccupation.info.